With summer arriving I’m back on the road and this time back to Spain. I’ve been one other time but that was to Mallorca and to the Costa Brava. Like that trip, this one is largely about cycling, though not in the first week. 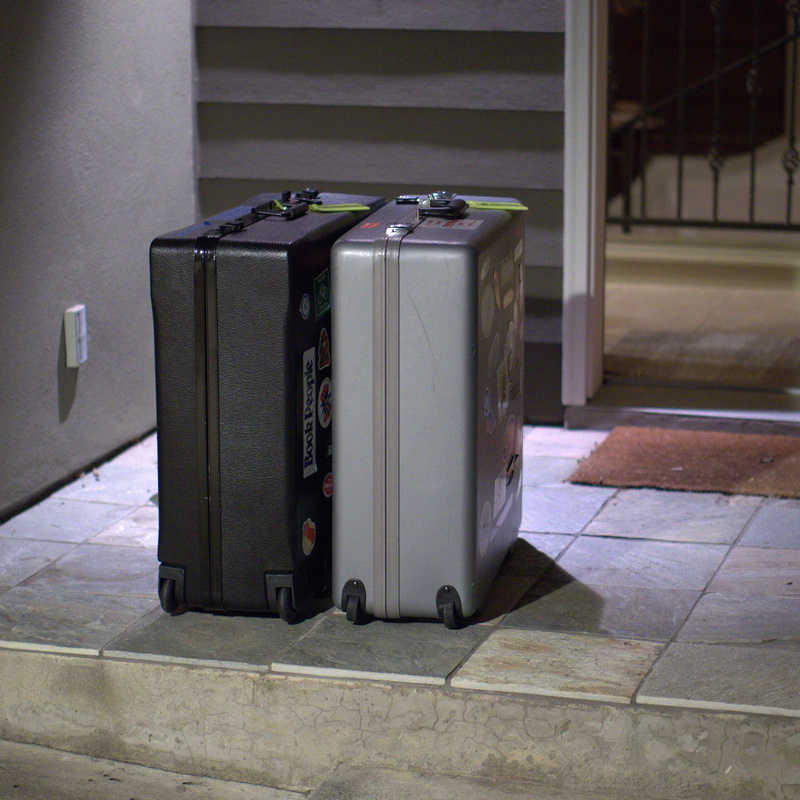 At 4am the bike cases were set out on the porch and ready for a shuttle ride to the airport. A long journey awaits. Like last year’s visit to Italy, this year’s trip routes through Washington’s Dulles airport. Unlike last year though, I went out of my way to avoid arranging for a 3rd leg of air travel. I’ll be going from Washington to Madrid and then from there renting a car and heading north. Last year I went from Dulles to Frankfurt Germany and had to sprint through the airport to make my connection after a delay in the international flight. My luggage was unable to sprint. This year I planned to be delayed out of both Austin and out of Washington. It’s sad that we have to plan to be delayed, but that is the norm with airline travel for me. If it’s not for you, consider yourself lucky. My flight from Austin to Washington was in fact a normal one and essentially on time. Fantastic. So, I had hours to kill at Dulles. 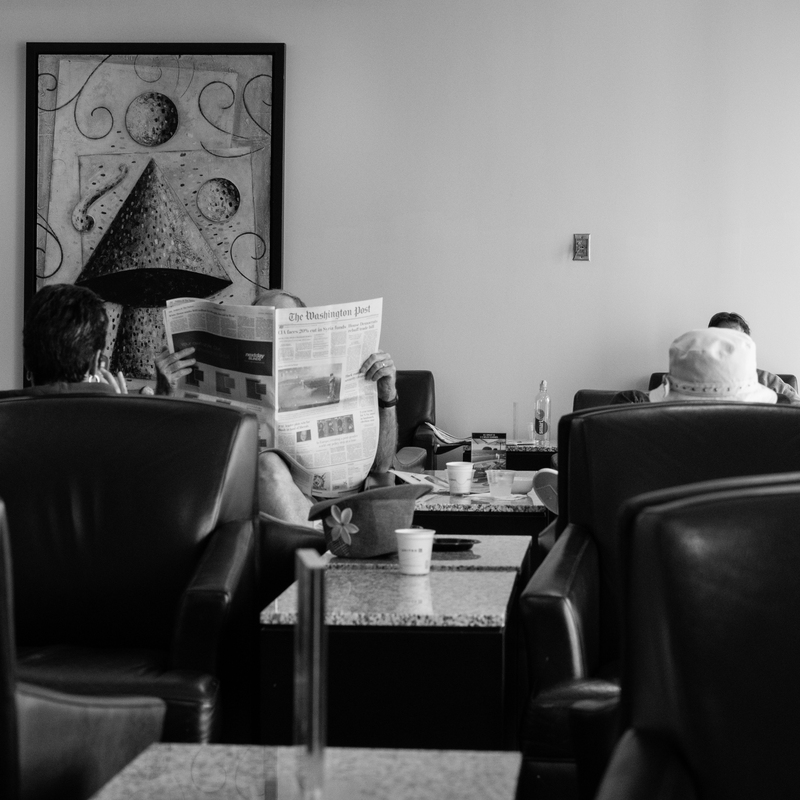 I spent most of it in the United lounge. One of the few perks of having an “Explorer” card from United is that they give you a couple of lounge passes a year. I don’t generally care or have time for one but this time I had hours of time. So I hung out there. The photo below is from there. Clearly others had plenty of time to kill there as well. The international flight to Spain boarded as expected on time and with little fanfare. And yet, no surprise, this year’s international flight was also delayed in leaving. And even more than last year. There was some kind of oxygen thing in the cockpit, followed by some kind of snafu with the oven in the galley in the rear of the plane. All tolled we sat there at the gate for about an hour. And yet, somehow 7 to 8 hours later we essentially arrived in Spain on time. Hmm… sometimes I wonder if ‘maint’ issues are manufactured so that a plane can arrive as planned give the weather conditions of the day. Clearly we must have had some pretty good prevailing winds. We made up nearly an hour of delay.